Khloe Kardashian and Caitlyn Jenner are feuding again, this time over Lamar Odom and Caitlyn’s refusal to visit the athlete in the hospital. But is this latest rift real or is it all for publicity to gain ratings for the next season of “Keeping Up With The Kardashians”? That’s when Khloe blew a gasket. Reportedly Khloe told Caitlyn that she is no longer her father and the best thing Kris Jenner ever did for the family was to dump Jenner. Does Caitlyn’s refusal to visit Lamar have anything to do with Khloe being a no-show at Jenner’s 66th birthday party? Kendall Jenner wasn’t there either – sources say she was too busy with modeling jobs. Kim Kardashian, Kourtney Kardashian and Kylie Jenner managed to be there – even Kourt’s little girl Penelope Disick came to the birthday dinner. Khloe might be feeling as if the Kardashian and Jenner families are betraying her. Mom Kris Jenner is scrambling to cash in on this nightmare – reportedly finagling interviews to talk about Lamar, and letting cameras roll to capture all the drama for “Keeping Up With The Kardashians.” It certainly would be nice for Caitlyn Jenner to show some support for Khloe – even if it’s just a brief visit to the hospital. Viewers of “Keeping Up With The Kardashians” may remember that Caitlyn, then Bruce, was vehemently objected to Khloe’s quickie marriage to Lamar. The Kardashian clan’s stepfather was most hurt by the fact that Kris and Khloe kept the news a secret and blindsided Jenner with the announcement. Who’s right and who’s wrong here? 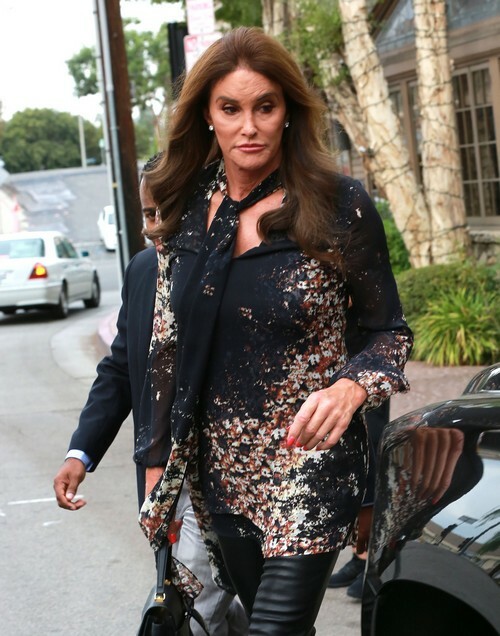 Should Caitlyn Jenner visit Lamar Odom in the hospital? Has Khloe taken Jenner’s refusal to visit the wrong way? Is this just a complete misunderstand or miscommunication? Can Kardashian and Jenner work this out? Or is this just another manufactured fight to gain ratings for “KUWTK”? Khloe Kardashian, Lamar Odom Dating Again: Reunion Imminent – But French Montana Still Fights For Khloe!